Rab Kit Bag 80L is a hardwearing, heavy duty kit bag, designed to keep your gear safe and withstand the rigors of an expedition or regular trip. 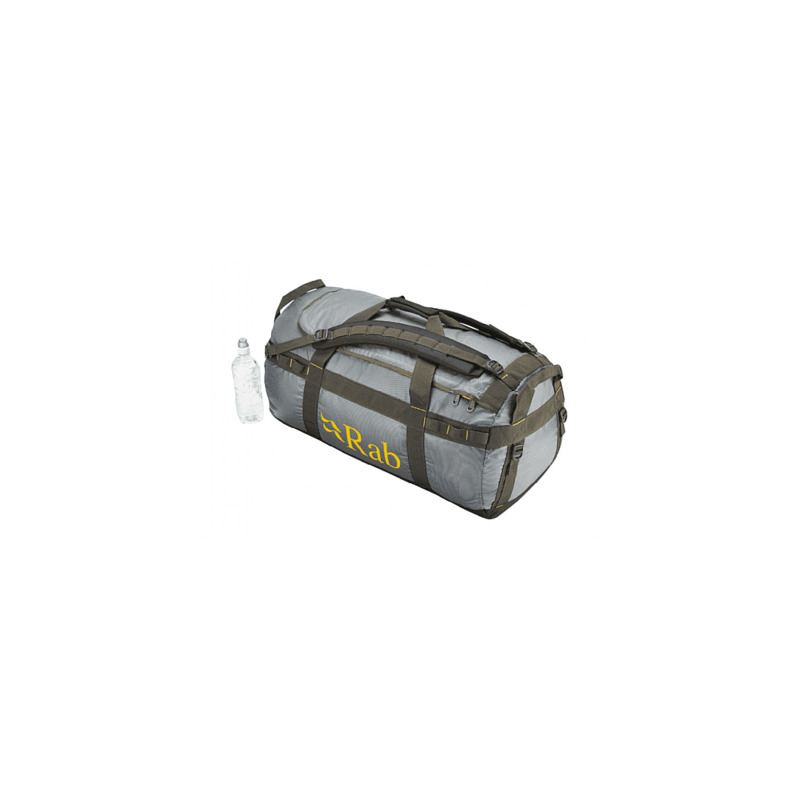 The Rab Kit Bag is made using a tough and durable 600D fabric and is coated with a water-resistant film. Triple-stitched seams and a double thickness base add further to the ruggedness of the Kitbag. Contents are easily accessible through a large, lockable main opening, and there are even 2 internal pockets underneath the lid. For transportation, there are two detachable shoulder straps, 4 handles and daisy-chain lash points. The Rab Kit Bag 80L is ideal for high altitude and polar expeditions, or for prolonged periods of travel and trekking and can be compressed to match hand luggage requirments with the use of the compression straps when travelling light and taking flights.